The Tire Warehouse has the rims you need to turn heads and increase vehicle performance. 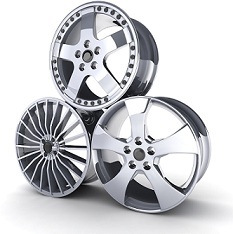 Our inventory includes popular custom wheel brands at competitive prices. Use our wheel configurator at the top of this page to experiment with how different wheel styles look on your make and model of vehicle. For years, we've been matching drivers across Clifton Park, NY, Queensbury, NY, Troy, NY, and surrounding areas.with the right custom wheels. With so many options available, you can find the perfect rims. Every person's criteria for buying wheels is different, so we urge you to contact us with your questions or concerns. Our service staff is comprised of wheel and rim experts who remain on the cutting edge of wheel style, configuration, and performance.